Customers should consume 5,000 iu of Vitamin D3 and 3 capsules of EPA-DHA 300 daily or 3-4 cans of sardines each week. So if you don’t or won’t eat sardines order our EPA-DHA 300 and Vitamin D3. 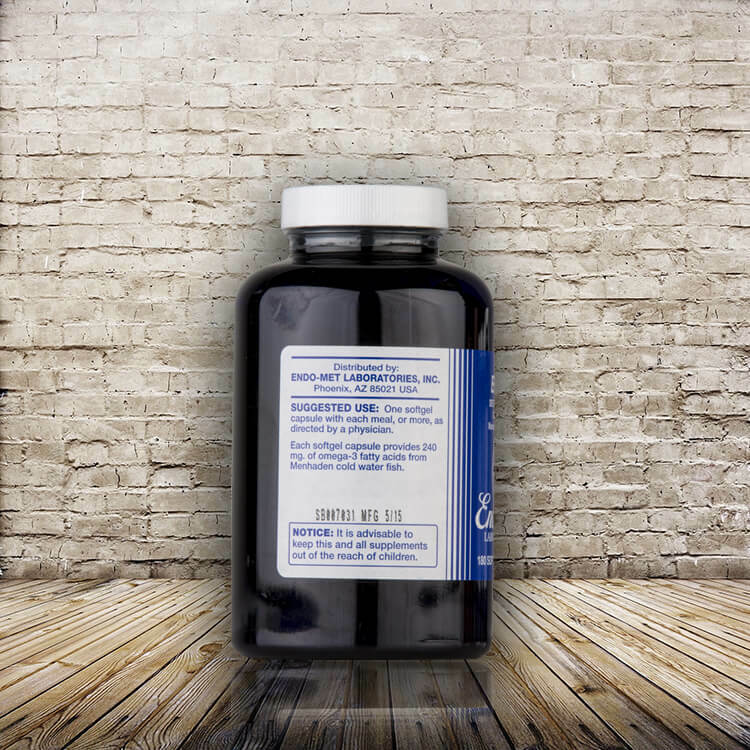 This product contains fish oils that are rich in two long-chain fatty acids, DHA and EPA. Fatty acids of the omega-3 family stimulate production of the prostaglandin 3 series. Suggested Use: One capsule daily, or as directed by a physician. How Supplied: Bottles of 90 capsules. The omega-3 fatty acids are very important nutritional factors that are deficient in almost everyone’s daily diet. 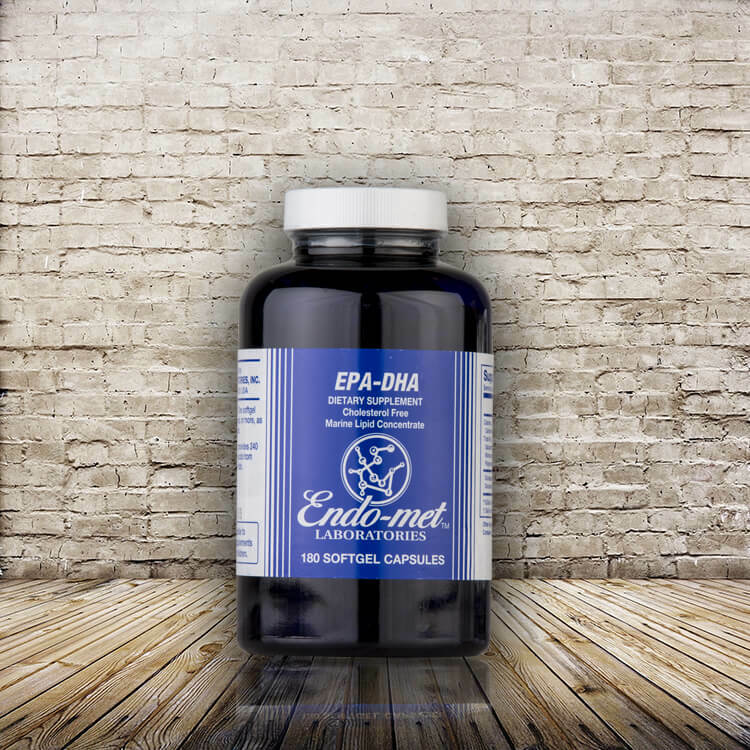 The most important of these are EPA or eicosapentaenoic acid and DHA or docosahexaenoic acid. There are other fatty acids, such as the omega-6 and omega-9 fatty acids. However, most people get plenty of these from their diets – too many, in fact, in relation to the omega-3 fatty acids. For that reason, I do not ever recommend a supplement of omega 3-6-9. I only suggest a supplement of omega-3 fatty acids. WHY ARE THE OMEGA-3 FATTY ACIDS SO IMPORTANT? Fatty acids are used in our bodies for many purposes. Among the most important are as lubricants for the joints, to keep the cell membranes flexible, and as general anti-inflammatory substances that are essential for health. Fatty acids are extremely important for the nervous system, as well, especially the developing nervous system of babies before and after they are born. If the omega-3 fatty acids are low, which is very common, the nervous system of a human being does not develop correctly. This contributes to cases of attention deficit disorder (ADD and ADHD), autism, learning disabilities, delayed development, and many other common mental and emotional problems of children and adults. Most of these would not occur, or would occur far less often, if everyone took a supplement of fish oil, for example, or flaxseed oil every day. WHY ARE SO MANY PEOPLE DEFICIENT IN OMEGA-3 FATTY ACIDS TODAY, BUT NOT IN THE PAST? This has to do with modern agriculture and modern feeding of livestock. In the past, people obtained enough omega-3 fatty acids from eating pasture-raised meats, and dairy products and eggs from pastured cows and chickens. Today, however, most cows, chickens and pigs are not fed mainly pasture, which contains the omega-3 fatty acids. Instead, they are fed corn or other grains, which contain much less of the omega-3 fatty acids. As a result, their meat, milk and eggs contain much less of these fatty acids. Grain fattens the cows, so the farmers are happy, and the meat tastes sweeter, which satisfies most consumers, even if the meat and dairy products are less healthful. Another important change has been a switch in the people’s diets away from eating butter, lard and tallow, which contain some omega 3 fatty acids. Instead, we eat much more vegetable oils such as corn oil, sunflower oil, safflower oil, canola oil and others, which are lower in omega-3s, but which are less expensive. As a result of the changes in feeding livestock and the changes in human diets, our consumption of omega-3 fatty acids has decreased sharply. WHAT IS THE BEST SOURCE OF OMEGA-3 FATTY ACIDS? I would say that food sources are best, provided the source is sardines. This is because food is more yang, in general, and provides many other nutrients. It is also less expensive. If a child over age 5 or an adult does not want to eat sardines, I always suggest taking an omega-3 supplement that contains a mixture of EPA and DHA. This is very important today for optimum health. Let us discuss these supplements in some detail. The best food sources or omega-3 fatty acids are a few cold water fish, such as sardines, tunafish and salmon. Other fish are not a good source of omega-3 fatty acids. Sardines are by far the best because of their low mercury content and other nutrient content. I do not recommend ANY tuna or salmon because of their high mercury content. Cod liver oil has a little omega-3 fatty acids, but not enough. I heartily recommend eating 3-4 cans of sardines for adults each week as an excellent source of omega-3 fatty acids. Children need proportionately less. Please do not eat more than four cans per week, as there is some mercury even in small fish such as sardines. If you don’t like sardines, they can be mashed and mixed into other foods. Other food sources are not as good. There are some omega-3 fatty acids in raw pasture-fed dairy products, especially cream and butter. Cheese and milk from pasture-raised animals also have a little omega-3, but not as much. Another source is wild game, pasture-fed lamb, or other pasture-fed meats and eggs. However, these food sources do not provide enough omega-3s. One reason is that one cannot be sure that meats are really pasture-fed. Many are a combination of pasture-fed and grain-fed. As a result, dairy, lamb and wild game are not reliable enough sources. 1. Be very careful. Two large companies that sell omega-3 supplements no longer produce a good product, in my experience. These are Nordic Naturals and Carlson. I would avoid these! 2. Capsules are much better than buying the oil. The reason is the oil goes rancid quickly. The capsules seal out the air so they do not go rancid or oxidize nearly as fast. 3. If you must buy the oil for some reason, do not buy the flavored kind. The flavoring is quite yin, which is harmful. 4. I prefer fish oil to krill or flaxseed oil. 5. Do not buy omega 3-6-9 products. They are not nearly as good because the omega 6 and 9 compete with the omega-3, which is the one most people need the most. Fish oil supplements. These are made from sardine oil or salmon oil. The mercury in these products is removed, so toxic metal poisoning from them is not a problem, in my experience. However, as noted in paragraph #1 above, some brands work much better than others. Avoid Nordic Naturals and Carlson, at this time. What about cod liver oil? Cod liver oil does not provide enough omega-3 fatty acids unless you take a lot of it, which I do not recommend. So please do not use cod liver oil to obtain omega-3 fatty acids. Flax, hemp and krill oil supplements. None of these are as good as the fish oil, in my view. The fish oil is more yang, and the krill oil is slightly toxic, it seems. What about eating flax seeds or hemp seeds? These do not provide nearly enough omega-3. Also, I do not recommend eating seeds, as a general principle. What about “source versus derivative” supplements? Recently, some doctors and others are suggesting that flaxseed oil or other vegetable oils are better sources of omega-3 than fish oil because they are the “source” essential fatty acids. This means that they contain the linolenic acid or a linoleic acid that can be converted to EPA and DHA. In conrast, fish oil is a “derivative” oil because it only contains EPA and DHA. 1. The fatty acids that are needed are EPA and DHA . Most people do not need the others. In fact, they have too much. So there is no good reason to use the “source” oils. 2. Flaxseed, hempseed, and other vegetable sources are much more yin in Chinese medical terminology. While this may seem esoteric, it is not that esoteric. All vegetable source products are more yin than animal source products. Today the bodies are very yin, and adding more yin products is not good at all. This is why vegetarian diets are not healthful, either, no matter how “balanced” or properly set up they are. 3. One does not know if the body will convert the source oils properly, in all cases. Why take a chance they will be converted to omega-3 improperly? Adults. The usual dose for adults is 900-1000 mg total fatty acids per day. More is rarely needed. If you eat some sardines, then take less of the supplement. You can overdo on omega-3 fatty acids. Babies. Omega-3 fatty acids are critical for a baby’s brain and nervous system development, among other things. Baby formula vs. breast milk. Breast milk contains some omega-3 fatty acids. Ideally, the mother should supplement her omega-3 with sardines or another supplement. Then her breast-feeding baby will get plenty of omega-3 fatty acids. A problem with many commercial baby formulas is they do not contain enough omega-3 fatty acids. Some baby formula now contains EPA and DHA, which is an improvement as these are so critical for a child’s brain development. Children. 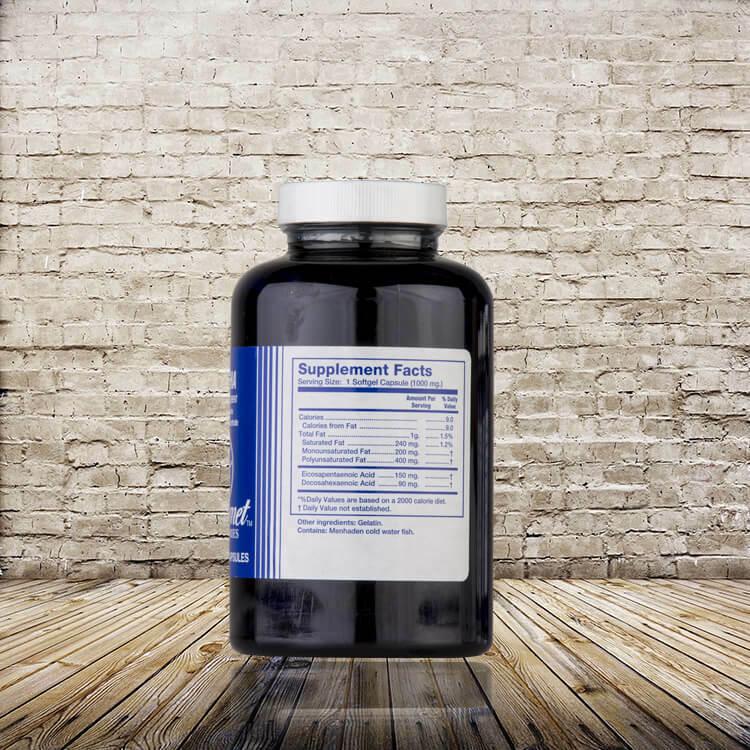 Children under age 5 usually do not need a supplement. Children age 5 and above need an amount proportional to their size, but less than adults. Children can eat some sardines or they can take supplement capsules. Sardines are superior because they contain many other vital nutrients.